Cuddled in our arms at home this afternoon, Our sweet baby girl Mackenzie took her last breath. Our hearts are shattered and we are numb. She fought so hard but is now free to run, to dance and play. If love could have saved her she would have lived forever. So hard to say goodbye to our Batten Family. What an amazing week spent in Pittsburgh. We made so many beautiful memories hanging out before, during and after the conference. Many laughs by the pool, Quading and creek stomping. Thank You again Timko family for having us in your home, Pittsburgh is now on the top of my list of favourite cities. It’s only been 12 hrs and I miss our Batten family like crazy. 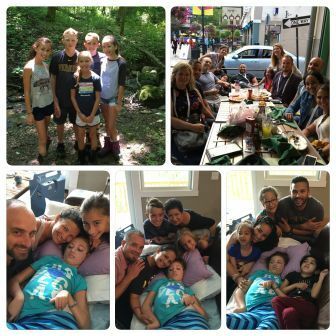 Mackenzie was admitted to Children’s Pediatric Intensive Care Unit on Saturday. She was placed on Bi-Pap Machine but since has regained enough strength to lower her settings to a C-Pap. Our Family would like to thank everyone for their continued prayers and support. Keep Fighting Mack! Register now for our 4th annual Laps 4 Life Fun Run/Walk in support of Manitoba Families fighting Batten Disease. 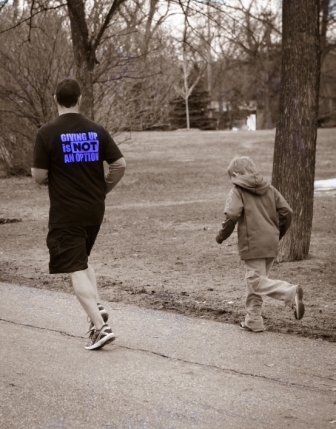 The Race will once again take place at Kildonan Park on Saturday, April 30, 2016 at 9am. 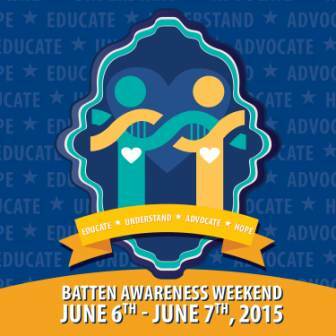 Batten Disease Awareness Weekend. 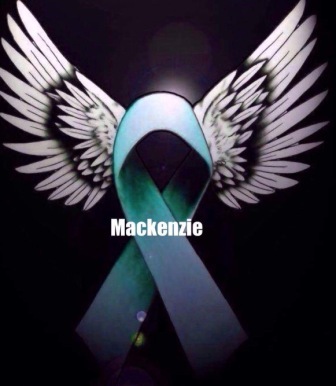 Please share Mackenzie’s story and raise awareness for this Fatal disease. 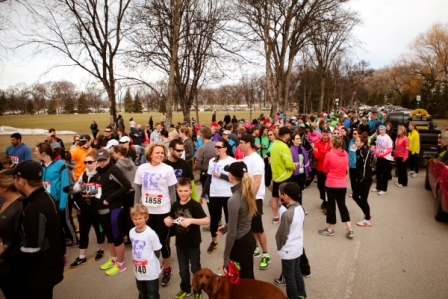 This years Laps For Life that was held this past Sunday at Kildonan Park was another success. Thank you to all for coming out to support families affected by Batten Disease. It is always just amazing to see 500+ participants, volunteers, family and friends come together to help our families. There are so many people to thank and I don’t want to leave anyone out because everyone plays such a important role in making our walk so successful so I will simply say THANK YOU,THANK YOU, THANK YOU! Nice to be back in a normal routine after a busy summer. Mackenzie has seemed to bounce right back after a recent lung infection. She has started grade 1 and is happy to be back in school with all her friends. She is attending school every morning and has been blessing us with lots of smiles lately. Hosting the Stonewall Quarry Days Slo-Pitch tournament in support of Mackenzie’s Hope. If you are in the Stonewall,MB area this week-end (August16&17) stop by the ball diamonds and say “HI”! Mackenzie’s Hope is now on Facebook! Like our page and follow our journey! 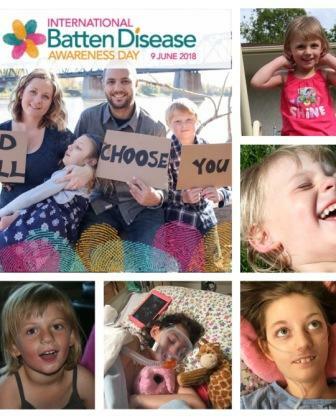 The Batten Disease Virtual Marathon runs from April 1, 2014 till April 26, 2014 for more info click on the Virtual Marathon link above. Please wear Jeans and support awareness for the almost 7000 rare diseases. Over 300 million people world wide are living “rare”. It’s In Our Genes! Today marks one year since Mackenzie was diagnosed with Batten Disease. 365 days of watching helplessly as our daughter slowly slips away from us. In the past year we have learned to have a greater appreciation of life and learned not to sweat the small stuff. 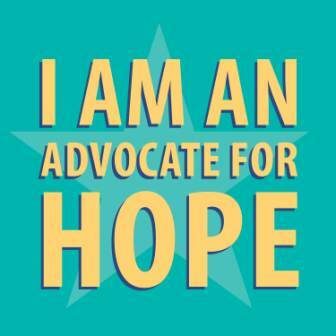 We have become advocates for our daughter and for Batten Disease. We have travelled many miles to educate ourselves and to search for “Hope”. We will continue to fight and pray that a cure will be found so other families will never have to hear the words “incurable” and “fatal”. And so our precious children can run and walk and talk and just be kids. On May 16, 2012 Our lives changed forever. Our beautiful 4 year old daughter Mackenzie was diagnosed with Late Infantile Batten Disease. This disease holds no mercy on these little angels. Eventually it will steal her eye sight and her ability to walk and talk. She will depend on us for everything. This disease has always been fatal. There is HOPE, and we will hold tight to that HOPE. Presently there are some trial therapies being done in the USA as well as other countries around the world. As parents, our hearts are absolutely shattered. Instead of sitting around crying (although there have been enough tears to fill a river) we have decided to FIGHT and to never give up HOPE. We are overwhelmed by the love and support. Thank you to everyone who is standing beside us and ready to fight for our beautiful Mackenzie. As parents, we really just wanted to bring this devastating disease to peoples attention. Before Mackenzie’s diagnosis, like most of you, we had never even heard of BATTEN DISEASE. The more people who are aware of this disease the more funding for research to find a CURE!